After identifying the risks, you must assess the impact the risk would have on your business if it crystallised, and the likelihood of it happening. 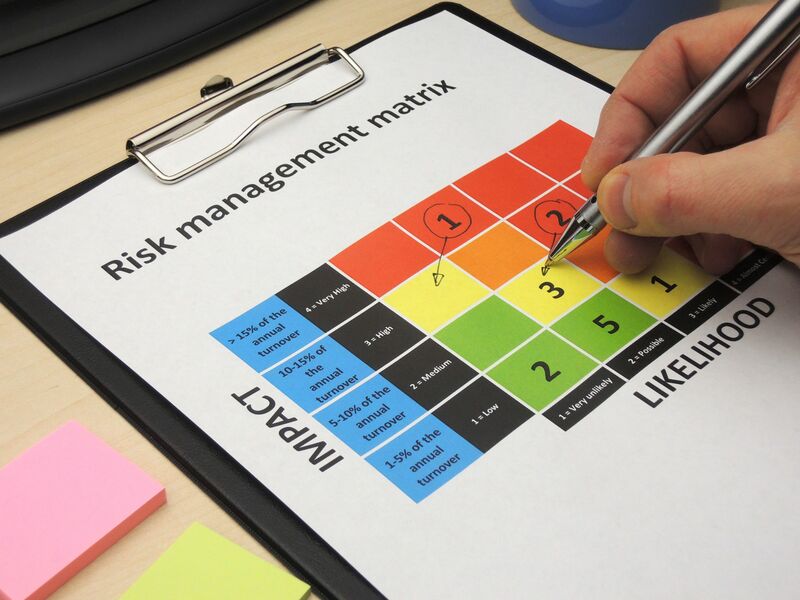 A risk matrix will allow you to map and accurately assess the identified risks by considering likelihood against impact. In my experience, companies are usually aware of only around 30% of their risks. You will likely find this exercise reveals more about your business than you were previously aware; after you're finished, you’ll start to appreciate the effort made. Tolerate (accept) - it is within your organisation's level of risk acceptance. Terminate (reject) - cease the activity or change the process that is causing the risk. Transfer (usually through insurance) - think cyber insurance. Treat (control) - apply a control or risk mitigation process to reduce the risk. a depth of knowledge that makes us efficient in undertaking the task.